Qualification: Qualified in 10+2/ equivalent examination with Math’s & Physics and atleast one of these subjects:- Chemistry/Biology/Computer science. Age Limit: Candidates should have been born between 01 Feb 1996 to 31 Jan 2000 (Both dates inclusive). Selection Procedure: Written Test, qualifying Physical Fitness Test (PFT) and fitness in Medical Examinations. (a) Online Application Form. 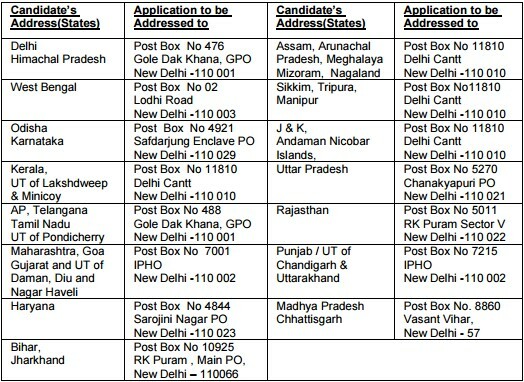 Candidates are to apply online through website www.joinindiannavy.gov.in from 23 May 16. (d) Click on “Apply online Sailors Entry” on the home page of website www.joinindiannavy.gov.in. (g) Write on the envelope “Online SSR Application-01/2017 batch & 10+2 percentage___”. Last date for registration of online application is 05 Jun 2016.